DIG are the future of Australian music. They know what to do and how to do it. One of Australia's best. Voted for 'Deeper' in the ABC's top 100 albums of all time a couple of years back. I first heard them when I was walking past a record store in Geelong. It's the only time where I've immediately turned around, walked in, and said "Whatever that is you're playing, I'll buy it"
D.I.G a phenomenon in the 90’s, bursting onto the Australian and international music scenes with a sound whose freshness and originality won them a huge legion of fans. Jazz, jazz funk or just great grooving music – D.I.G delivered a level of musical excitement that has seldom been replicated. 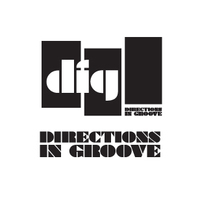 Acclaimed Australian acid-jazz / groove / funk band Directions In Groove (DIG) are back with the original DIG lineup - featuring keyboardist and vocalist Scott Saunders, saxophonist Rick Robertson, guitarist Tim Rollinson, bassist Alex Hewetson and drummer Terepai Richmond, alongside new guest vocalist Laura Stitt. The band, which hailed from the suburbs of Sydney, honed their live set with a residency at Kinselas back in the early 90’s. They self-financed their first EP, which at the time was the highest selling release of it’s kind, and with an ever growing audience, set out to tour nationally. They released several distinctive acid-jazz / groove / funk albums through the 1990s, including the much lauded "Speakeasy" and "Deeper" which both went on to achieve double platinum status. 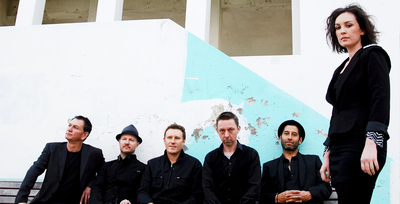 Tracks such as "The Favourite", "Reinvent Yourself", and "Hip Replacement" were radio and television staples, the band garnering widespread critical acclaim, including this from Rolling Stone magazine: "DIG are the future of Australian music. They know what to do and how to do it." With extensive JJJ airplay, great press support and consistent touring, dig crossed over into the mainstream with their mix of jazz/dance/old school funk and electronica, and evolved to incorporate new grooves, melding drum'n'bass and trip hop into the mix. They took their unique style across the globe, touring Asia, North America and Europe including the Montreux Jazz Festival, North Sea Festival, and Phoenix Festival on the same stage as Herbie Hancock, Bootsy Collins and The Roots. Dig also played in the Acid Jazz scene supporting Us3, Galliano, The Groove Collective, Corduroy, The Young Disciples, appearing at club and festival shows with Norman Jay and Giles Peterson.